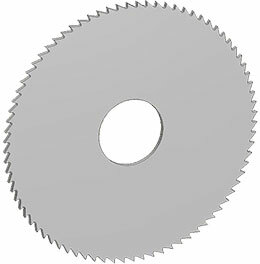 For cutting shallow slots or cutting off fine profiles and pipes made out of abrasive or hard materials. For cutting deep slots or cutting off thick pipes and profiles made out of abrasive or hard materials. Designed specifically for usage with machines from Rohbi- and Presta-Eisele in abrasive or hard materials. Type and number of teeth depends on the customer's application. For cutting shallow slots or cutting off fine profiles and pipes with high cutting precision. 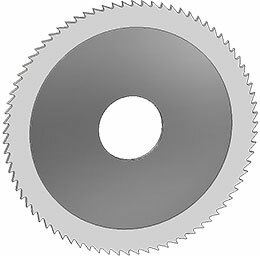 For cutting deep slots or cutting off thick pipes and profiles. 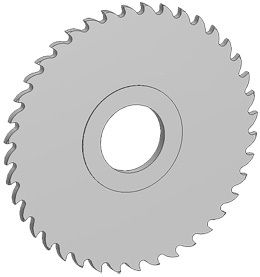 For cutting off thick solid material. For slotting and cutting of gold and silver materials. Designed specifically for usage with machines for cutting pipes (e.g. GF machines). Type and number of teeth depends on the customer's application. 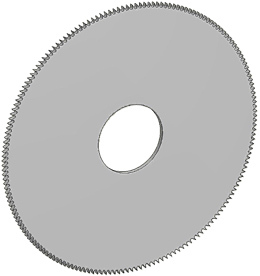 Our customized special metal slitting saws are used in various applications: cutting, slotting or milling in the electronics, metal machining, wood or plastic industries.